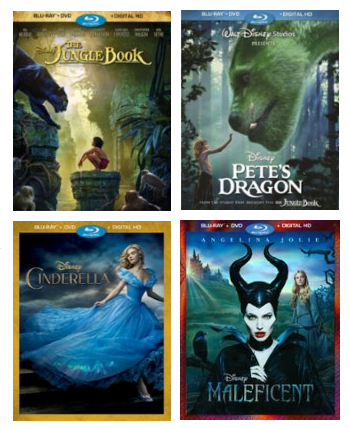 Best Buy has 7 classic Disney movies on sale for just $7.99. Titles include The Jungle Book, Pete's Dragon, Cinderella, Maleficent, Alice through the Looking Glass, The BFG and Into the Woods. Movies include the DVD, Blue Ray and HD Digital version. And if you choose store pick up you will get $1 off each item. Plus now through Christmas shipping is free.